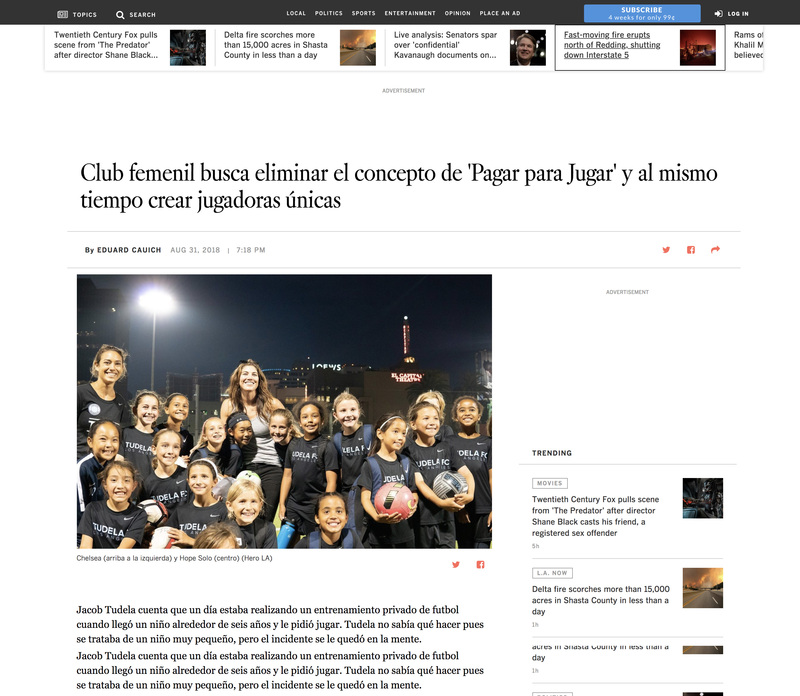 Thanks to its partnership with World Cup and Olympic champion Hope Solo, Tudela FC LA is making its way into international periodicals as a model for the future of U.S. Soccer. There is some hope. I’ve been lucky to meet incredible people across the country. I call them The Resistance. They want reform in American soccer. They’re men and women who are passionate about the game. They are Hispanic, men and women of color, great coaches, great competitors, and great leaders. They can make a difference in opening up soccer to all communities. These resistance fighters give me hope about soccer in America. Tudela FC LA is one club in Los Angeles that has inspired me. They have tryouts all over LA and if families can’t afford to join they find a way for the kids to play. They have upper middle class white kids on the team, they have young girls of color on the team, they have Hispanic girls on the team. It’s true diversity. It looks like Los Angeles. 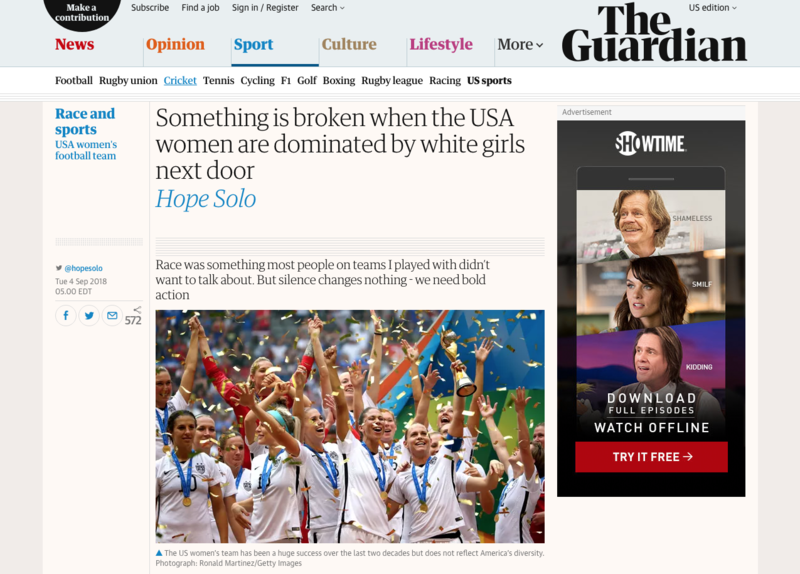 Hope Solo’s op-ed in the Guardian. Stateside, the Los Angeles Times and UrbanPitch.com devoted entire pieces to the type of team Tudela FC Los Angeles is trying to build.